Salt doesn’t always play nice with tomatoes. While the flavors are complimentary, salt can break down the tomato’s cell wall and leave you with a watery, mushy mess on the plate. 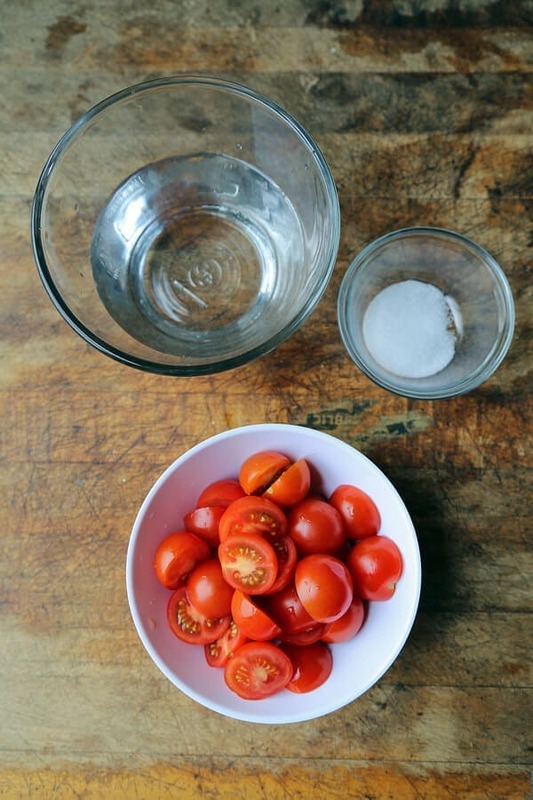 How can you salt tomatoes safely so they preserve their natural bouncy texture? The solution is actually very simple; brine them. 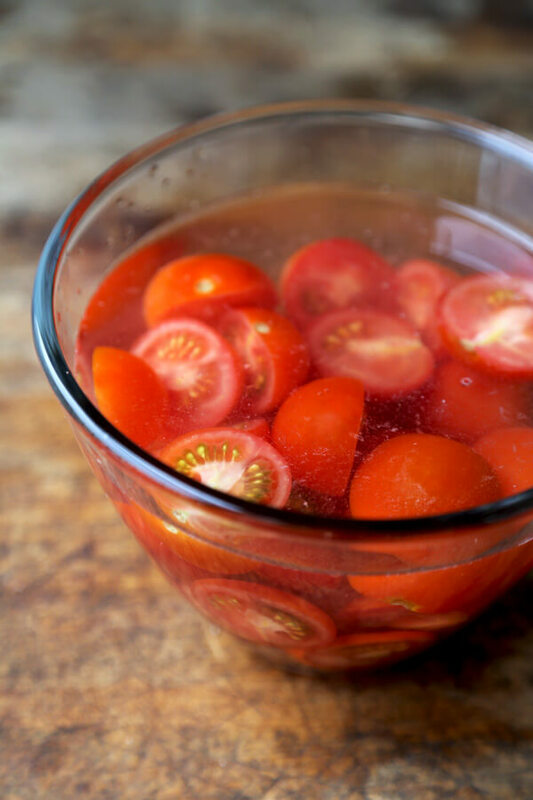 Brining your tomatoes in a diluted sea salt solution is a great technique to infuse flavor and one that takes no effort. 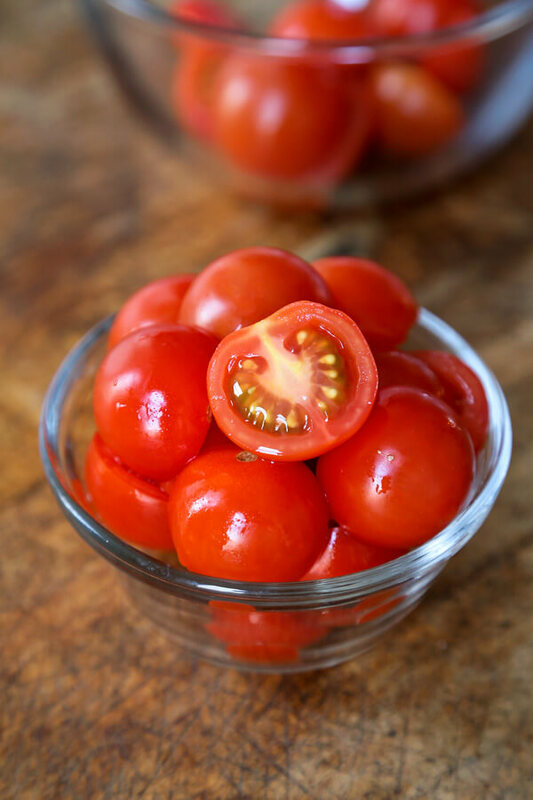 It is easier for your delicate cherry and grape tomatoes to handle, and imparts a uniform saltiness that penetrates the entire tomato. The end product is, dare we say, more tomatoey! Since I have learned this trick, my cherry tomatoes are always beautiful and delicious; who knew there was a right and a wrong way to salt tomatoes. 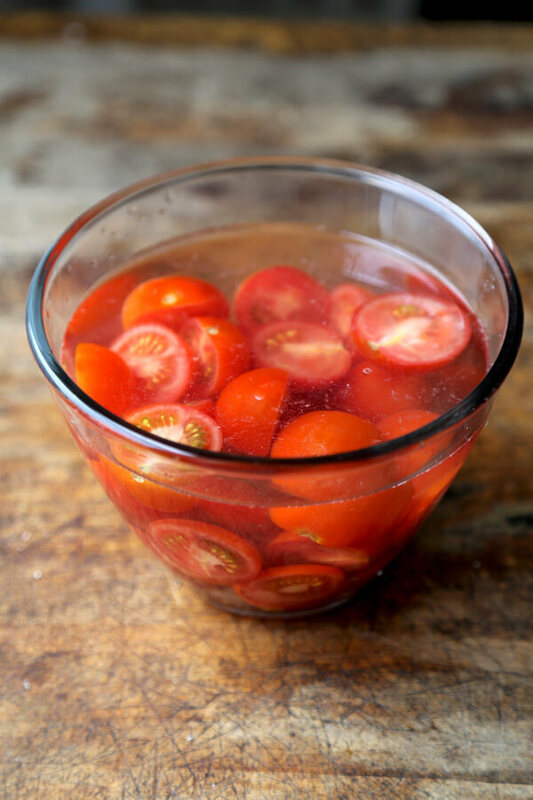 This method can also be used to pickle tomatoes. Replace two cups water for one cup of red wine vinegar, add the same amount of salt + 1 tbsp sugar and bring to boil. Pour over the tomatoes and let cool. Pickled and salt tomatoes will last up to two weeks if kept in the fridge. * Slicing the tomatoes pole to pole keeps them juicier than if you slice along the equator. 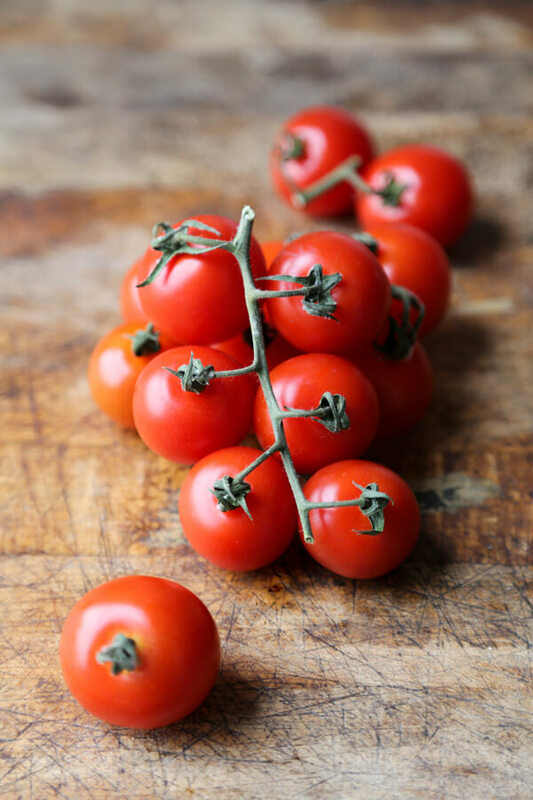 Now that you know how to salt tomatoes, use them on a fennel and black olive ciabatta, tossed in a tofu tomato salad or skewer them with bacon wrapped asparagus yakitori.